[http://teaming.com/state-wildlife-action-plans-swaps] to evaluate how the U.S., as a whole, addresses connectivity via wildlife linkages intended for larger terrestrial wildlife. The authors also used the SWAPs as guidance in developing a short list of best practices for wildlife linkage planning. Because SWAPs share a common federally-mandated framework, they function as a valuable national data set for evaluating and comparing conservation efforts. Results from a content analysis of the 50 SWAPs were related to statewide data on: the number of wide-ranging terrestrial species of greatest conservation need, federal revenue for state and local governments, spending on parks and recreation, total state area, and conserved land (as defined by the Gap Analysis Program). In addition, interviews were conducted with conservation professionals to gain specific information related to SWAPs and to corroborate best practices recommendations. 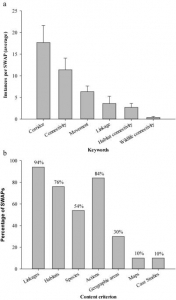 The content analysis revealed common language used among SWAPs and an unexpectedly low relative emphasis on wildlife connectivity for the majority of plans. This finding contrasts with the fact that 50 SWAPs listed habitat fragmentation as a leading threat, that all plans examined had at least one wide-ranging terrestrial species of conservation concern, and that maintaining wildlife connectivity is a well-recognized, global conservation objective. When results from the content analysis were compared to statewide data, positive correlations emerged between content criteria and statewide data on percent conserved land, total focal species, and spending on parks and recreation. – Incorporate sociopolitical/economic information that may influence implementation of conservation objectives. Integrating the above recommended best practices into conservation plans will depend on planning organizations’ resources and capacity for change. However, the authors believe that integration of the above best practices will lead to increased success in plan implementation as well as increased cooperation between organizations with shared wildlife linkage goals. Lacher, I. and M. L. Wilkerson. 2014. 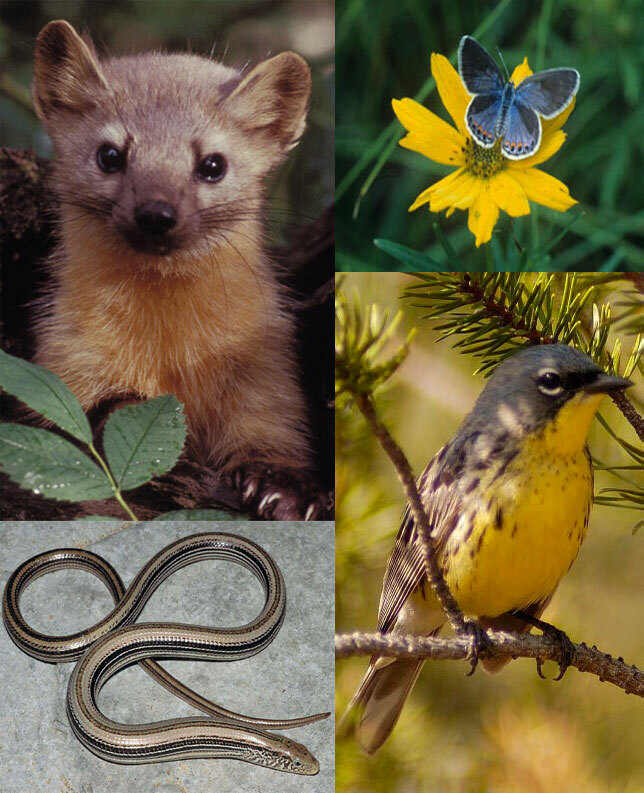 Wildlife connectivity approaches and best practices in U. S. State Wildlife Action Plans. Conservation Biology 28(1): 13-21. 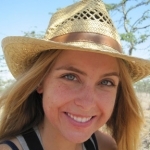 As an AAAS S&T Policy Fellow, Dr. Marit Wilkerson serves as a climate change advisor for the Africa Bureau for the United States Agency for International Development (USAID) in Washington, D.C. With the University of California, Davis, her dissertation work centered on invasive plants in conservation corridors, and her motivating passion is to promote conservation science and ethics to a broader public through applied research and real-world outreach. To learn more, please visit www.maritwilkerson.com.